July 14nd from 10:00am until 6:00pm. FREE admission, free parking, and air conditioning for your comfort! Our mission is to connect local healing practitioners and intuitive readers with those in our local community who are ready to receive their gifts, and to provide a welcoming space to learn about and to receive these services. In promoting greater awareness of the health dangers of chemicals in our environment, this event strives to be scent free. Although we cannot control every possibility of scents arriving on site, we do require all the participants to refrain from using, wearing, or demonstrating anything scented. We hope that those with chemical and scent sensitivities will be able to enjoy attending without fear of exposure. In addition the Silverdale Beach Hotel is taking steps to remove scents during our event. Thanks for leaving your cologne at home for the day! Net proceeds will be donated to a local charity. 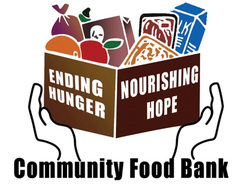 This year we will again be donating all our net proceeds to local food banks. Bring non perishable food items to donate on site, during the event!